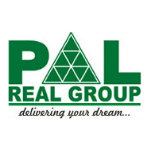 PAL REAL GROUP was founded in 2000 in Jaipur. Since then we have done tremendous Projects in Rajasthan & Mainly in Jaipur. Our Projects & our constructions are done in such a way that it can be afforded by everyone. All of our projects are surrounded by Ring Road, IT Corridor, Terminal Market, Bus Terminal & we are giving facilities like Parks, Hospitals, Educational Institutions, Club houses, Multi-Storey Buildings, Community Hall, Electricity/Water, Temples, and Busfacilities. We are Promoter and Builders of many Residential Projects & Townships in & around Jaipur. We are having a great sales & construction track record in Jaipur having clients from All over India. We are also having many NRI Clients from US/UK & Canada. PAL REAL GROUP the largest developer of Jaipur is the trendsetter and pioneer in the concept of private colonies and townships in Jaipur. All the projects undertaken by the company are planned in such a way so as to fulfill both the current as well as the future requirements of the customers in terms of housing, commercial & farm Houses along with the amenities that are required to make these projects successful. Moreover, all our colonies are designed on such a location from where local transport is easily available. Besides all comforts of modern-day we always try to provide best home, Land, Commercial Spaces in your budget and on good location as well. We have hundreds of satisfied customers in our database and their satisfaction makes us more sound and capable to provide more best living options for you.